I received My Little Pony: The Movie for review. All opinions are mine. This holiday/winter break didn't feel long enough, did it? We had some super cold weather and spent a lot of time indoors with lots of games, playdough, and of course, movies. My girls were super excited to have My Little Pony: The Movie show up at our door to watch over our break! Join the “truly magical adventure” (Mike Reyes, CinemaBlend) of the Mane 6 and their new friends when My Little Pony: The Movie comes home on Digital December 19 and on Blu-ray™ Combo Pack (plus DVD and Digital), DVD, and On Demand January 9 from Lionsgate. Best friends Twilight Sparkle, Rainbow Dash, Pinkie Pie, Applejack, Fluttershy, and Rarity team up in their most epic adventure yet! From L to R: Fluttershy (Andrea Libman), Spike (Cathy Weseluck), Rainbow Dash (Ashleigh Ball), Pinkie Pie (Andrea Libman), Rarity (Tabitha St. Germain), Princess Skystar (Kristin Chenoweth) and Applejack (Ashleigh Ball) in MY LITTLE PONY: THE MOVIE. Image Courtesy of Lionsgate and Hasbro. From L to R: Fluttershy (Andrea Libman), Rarity (Tabitha St. Germain), Applejack (Ashleigh Ball), Rainbow Dash (Ashleigh Ball), Pinkie Pie (Andrea Libman) and Twilight Sparkle (Tara Strong) in MY LITTLE PONY: THE MOVIE. Image Courtesy of Lionsgate and Hasbro. Directed by “My Little Pony” veteran Jayson Thiessen (“My Little Pony: Friendship Is Magic”) and including original music and songs performed by Sia, Taye Diggs, Zoe Saldana, Kristin Chenoweth, and Emily Blunt, My Little Pony: The Movie is full of music, fun, and laughter for the whole family. 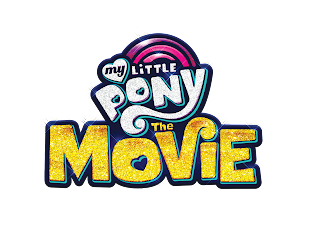 The My Little Pony: The Movie Blu-ray and DVD include all-new special features, including a deleted scene, a music video, three featurettes starring the Mane 6, an exclusive Equestria Girls Short and a Hanazuki short. My Little Pony: The Movie was everything we thought it would be. The story line resembles something out of a Disney princess movie; a princess goes off in search of someone to help save her kingdom, finds friends along the way, encounters the "evil" character in an epic good vs. evil battle, and there's a whole lot of singing awesomeness throughout. If you're a fan of the series, you will love the movie! The "bad guy" King Storm is bad, but you also can't help but laugh at his corny humor. You'll meet some new characters, including Sia as pony Songbird Serenade, whose song "Rainbow" is perfectly suited to the movie. Emily Blunt is wonderful as Tempest Shadow, and wow, can that girl sing! There are great themes about team work, friendship, forgiveness, trust, kindness, accepting differences, and learning from your mistakes. My three-year-old and six-year-old girls were engaged in the movie the entire time. There aren't any super scary parts, so you can watch with kids of different ages. 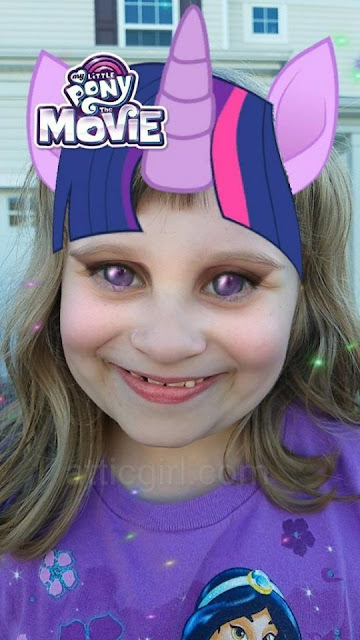 Did you know there is My Little Pony facebook camera mask so you can make yourself pony-tastic too as Twilight Sparkle and Tempest Shadow? 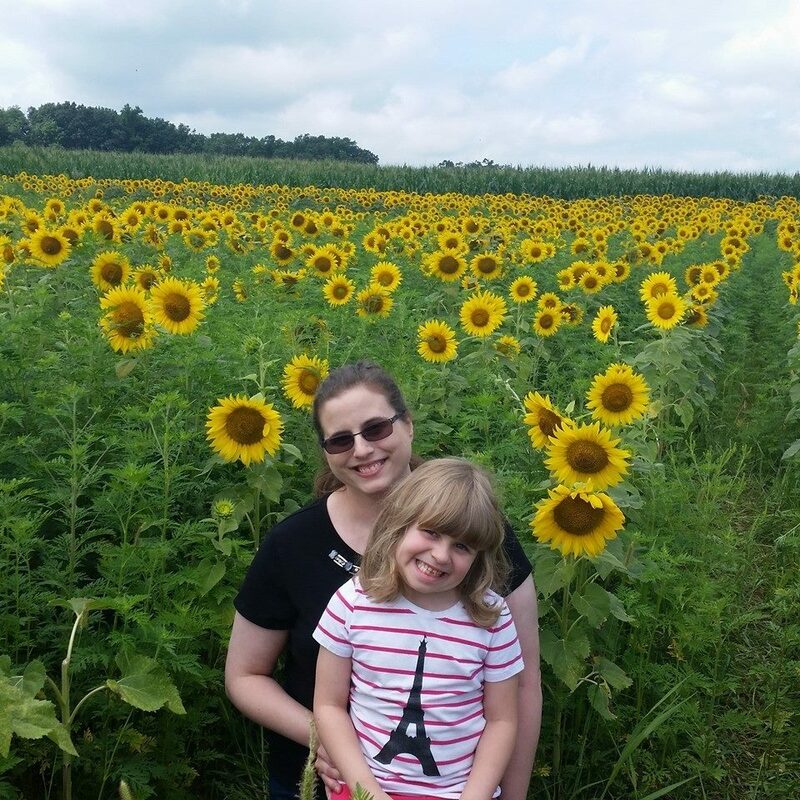 It'll keep your kids (and you) entertained for a while! Don't forget to download these fun My Little Pony Activity Pages. 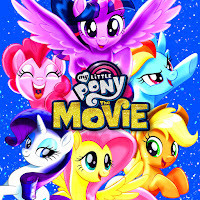 My Little Pony The Movie is definitely worth picking up on Blu-ray/DVD. You'll watch it over and over again with your kids!